Since 2005, the US Peace Memorial Foundation has directed a nationwide effort to honor Americans who stand for peace by publishing the US Peace Registry, awarding an annual Peace Prize, and planning for the US Peace Memorial in Washington, DC. These projects help move the United States toward a culture of peace by recognizing thoughtful and courageous Americans and U.S. organizations that have taken a public stand against one or more U.S. wars or who have devoted their time, energy, and other resources to finding peaceful solutions to international conflicts. We celebrate these role models to inspire other Americans to speak out against war and to work for peace. We hope that you will join us as a Founding Member. Founding Members are listed on our website www.uspeacememorial.org/Donors.htm, in our forthcoming book, and eventually at the National Monument we will build in Washington, DC. Michael D. Knox, PhD, a Distinguished Professor Emeritus at the University of South Florida*, is Founder and Chair of the Foundation. His biography is included in current editions of Who’s Who in America and Who’s Who in the World, Wikipedia, and at www.uspeacememorial.org/Knox.htm. Dr. Knox’s antiwar activities are listed in the US Peace Registry. Our Board of Directors, Founding Members, and Volunteers are the mainstay of the US Peace Memorial Foundation. We read every comment submitted. Many suggestions have helped to improve our website and organization. Unfortunately, as a non-profit public charity operating on a tight budget, we do not have staff to respond to every inquiry. 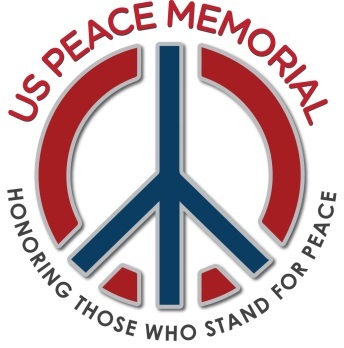 If you would like to support the US Peace Memorial Foundation please consider becoming a Founding Member or making a donation today www.uspeacememorial.org/Donors.htm. *NOTE: The US Peace Memorial Foundation is not affiliated with any university or government entity. The ideas expressed on this website are solely the views of the Foundation. US Peace Memorial Foundation, Inc. is a tax-exempt 501(c)(3) public charity. Donations to the Foundation are tax deductible to the extent provided by law. Florida registration #: CH20094. A COPY OF THE OFFICIAL REGISTRATION AND FINANCIAL INFORMATION MAY BE OBTAINED FROM THE FLORIDA DIVISION OF CONSUMER SERVICES BY CALLING TOLL-FREE (800-435-7352) WITHIN THE STATE. REGISTRATION DOES NOT IMPLY ENDORSEMENT, APPROVAL, OR RECOMMENDATION BY THE STATE. Copyright 2005-2019, US Peace Memorial Foundation, Inc.